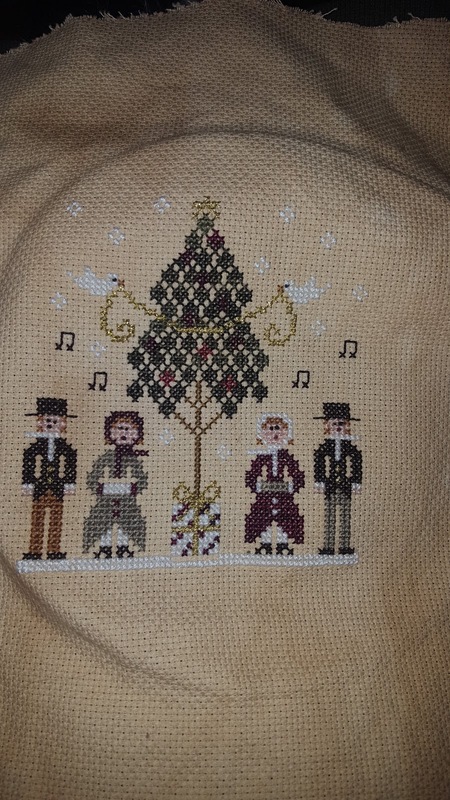 Welcome back to the Christmas City Stitcher! 2018 is almost 2 months gone and I decided to try to use this blog yo keep track of my stitching life. Hope anyone still reading it is interested. In January I started a SAL on the Little House Needleworks Facebook page. 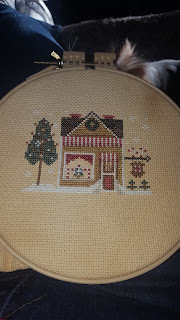 I'm hoping to finish the Hometown Holiday Series. I started it a couple of years ago and got 2 out of 15 done lol. So here is January. I got off to a great start. I also knitted 3 count them 3 washclothes this week! First knitting I've done in years! 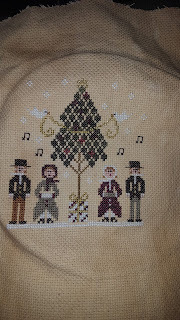 I've also been working on Quaker Chirstmas (Pictures next month) I had finished 1 1/2 pages and realized I was holding the fabric in the wrong direction so I have started over and have just started page 2 yet again. Well I'm off to do some stitching on this lazy Saturday afternoon. I just stumbled upon your blog through another blogger's blog roll. You are off to a good start stitching for 2018. What fabric are you stitching your LHN hometown series on? Love the Quaker by AuryTM; what a gorgeous piece of fabric you are using! Enjoy the rest of you weekend! Wow, Rose! 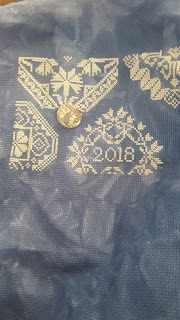 Such wonderful stitching, please, please do keep posting your gorgeous progress pics each month. 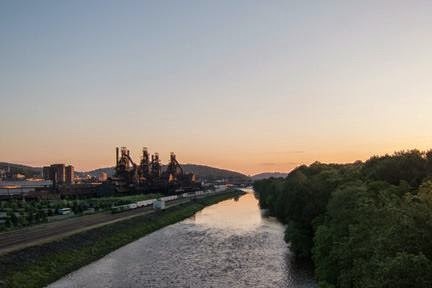 I live in Bethlehem, PA with my hubby of 35 years,and 3 dogs.